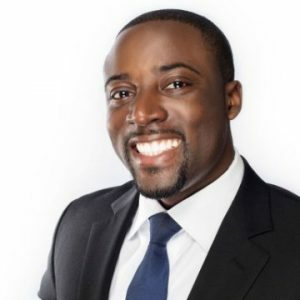 Kwame is a business lawyer and the founder of the American Negotiation Institute. He is passionate about teaching entrepreneurs and business professionals the art of negotiation so they can get better deals and advance their careers. He is regularly invited to give negotiation seminars and consults with individuals and companies to create and implement powerful negotiation strategies. He also hosts a podcast previously called Negotiation for Entrepreneurs, now called Negotiate Anything, where he interviews successful entrepreneurs and shares powerful persuasion techniques. Excellent podcast. I took notes from start to finish. Thank you. Holy smokes! Illuminating podcast. Just fantastic tips. Big takeaway for me: how to tactfully say no. As a consultant, a small business owner, an aspiring speaker, and a project manager, being able to say no is a skill and an art. Thank you for the wonderful podcast. Crystal, you’re welcome! It’s great to hear that you found value in this conversation with Kwame. You’re so right: saying “no” gracefully is no easy task, but it’s essential to good leadership. Be sure to check out Kwame’s podcast to keep diving deeper into this topic. He’s so generous with his expertise, I’m sure you’ll find it worth the time! Excellent ideas in the category of negotiating with this kind of attitude. It really aspires people who know how to handle difficult circumstances. These tips above will be your key to a successful online business.